Oil transit through the territory of Ukraine to European countries in 2018 decreased by 4.3% (602,400 tonnes) compared with 2017, to 13.335 million tonnes, according to Ukrtransnafta. According to Interfax-Ukraine calculations, the volume of oil pumping to the refineries of the country in 2018 increased by 0.2% (4,500 tonnes), to 2.101 million tonnes. Thus, last year the share of transit in the total volume of oil transportation (15.436 million tonnes) amounted to 86.4%, the share of pumping to the country’s refineries was 13.6%. German Chancellor Angela Merkel said she was not as critical as Kyiv about the Nord Stream 2 gas pipeline and was in favor of Ukraine preserving its transit role after 2019. “We know that Ukraine is against this project. I am less critical about the project and I am in favor of Ukraine having guarantees, that Ukraine will preserve its transit role,” she said at a meeting with the Ukrainian parliament speaker, Andriy Parubiy, and the heads of parliamentary groups in Kyiv. She noted that the negotiations on Nord Stream 2 are being conducted with both Russia and the European Commission. “The matter concerns creating a transit agreement. 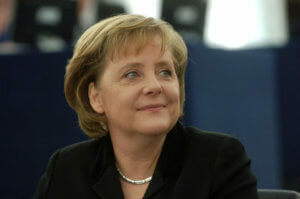 We want Ukraine to remain an important transit country,” Merkel emphasized. The chancellor noted that in addition to Nord Stream there is also TurkStream. “Thus, gas flows are expanding from Russia to the European Union, but this does not mean that we want to reject the transit role of Ukraine. 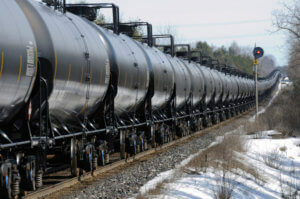 I think that gas transit revenues are extremely important for the budget of Ukraine,” she said. Merkel noted that Berlin “very seriously” considers the strategic opinion of Ukraine on the issue of Nord Stream 2. “We want to see Ukraine as a partner with respect to transit,” she said. Prior to this, Verkhovna Rada Chairman Andriy Parubiy called on Merkel to study in more detail the arguments of Ukraine against the construction of the Nord Stream 2 gas pipeline. “The construction of Nord Stream 2 could bring imbalance and threaten the security of not only Ukraine but the entire European space. And this is the position of the Ukrainian parliament. I would ask that the arguments of the Ukrainian side be studied more in detail,” Parubiy said during a meeting with the German chancellor in Kyiv. The speaker called for supporting the position of the Ukrainian parliament on the Nord Stream 2 issue. 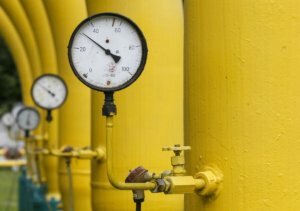 Ukraine in January-September 2018 reduced transit of natural gas through its gas transportation system (GTS) by 7% compared to the same period in 2017, to 65.449 billion cubic meters, according to live data from PJSC Ukrtransgaz. 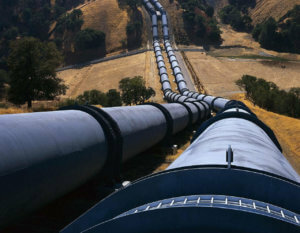 According to calculations made by the Kyiv-based Interfax-Ukraine news agency, in particular transit of gas through Ukraine to Europe during this period amounted to 63.432 billion cubic meters (7.5% down), to Moldova to 2.017 billion cubic meters (11.1% up). In September 2018, transit of gas decreased by 13.9% compared to the same month in 2017, to 7.232 billion cubic meters. In particular transit of gas through Ukraine to Europe amounted to 7.07 billion cubic meters (14.1% down), to Moldova to 162.1 million cubic meters (0..04% down). As reported, Ukraine in 2017 increased transit of natural gas through its GTS by 13.7% (11.257 billion cubic meters) compared to 2016, to 93.457 billion cubic meters, in particular transit to Europe amounted to 90.749 billion cubic meters, to Moldova some 2.708 billion cubic meters. Ukraine will receive about $3 billion each in 2018 and 2019 as revenues from natural gas transit, Naftogaz Chief Commercial Officer Yuriy Vitrenko has said. 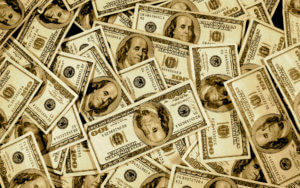 “The revenues from transit should be at the level of $3 billion each in 2018 and 2019,” he wrote on his Facebook page on Tuesday. According to the ruling of the Arbitration Institute of the Stockholm Chamber of Commerce, Naftogaz should receive money from the transit through Ukraine’s gas transport system of 110 billion cubic meters of Russian gas regardless of actual volumes of transportation. The contracts between Gazprom and Naftogaz for gas supply and transit are valid until the end of 2019. According to Naftogaz CEO Andriy Kobolev, this is not a classic “take or pay” case, but if Gazprom does not fulfill the contractual volume of transit of 110 billion cubic meters per year, Naftogaz will again file a claim with the arbitration court and will sue the Russian company for non-fulfillment of the terms of the contract.